Knife edge pools, natural pools and lagoon pools are a thing of the past — well maybe not the past; but they are so 2017. Homeowners in 2018 are prioritizing customization and architectural changes over anything else when it comes to their pool design choices. Smart pools, colourpop pools, and tiled pools are the top three trends homeowners love. With most of the United States firmly entrenched in the middle of summer, the idea of escaping the heat and going for a swim is something we have all thought about. In fact, lounging by the pool on a hot day is just about as good as it gets. Who wouldn’t want to be doing that at this very moment? Swimming pools are inherently the best part of summer, and represent at least a little of what everyone wants: relaxation and a place to get away from it all. With the direction pool designs of 2018 are heading, it is entirely possible to create your own paradise in the backyard. However, the amount of options available is enough to make your head spin. There is literally an application or addition for anything you could imagine. 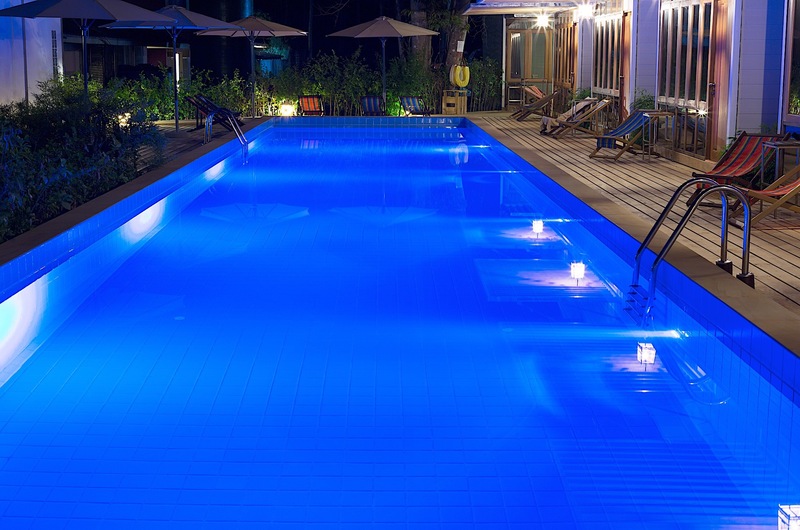 Each promises to enhance your pool experience, but what trends are actually worth following? What is everyone else doing this summer? A lot has changed since summer 2017 — out with the knife edge pools in with the smart pools; however, certain characteristics remain the same. People still want relaxation. People still want luxury. And people still want customization. But 2018 took the best from 2017 and brought everything to the next level. Technology is involved, architecture is changing, and things are getting fiery (which you’ll learn more about soon). So without further adieu, let’s dive into (pun intended) the top pool design trends of 2018. Are home buyers getting smarter? That’s debatable; but homes are undeniably getting smarter every day! 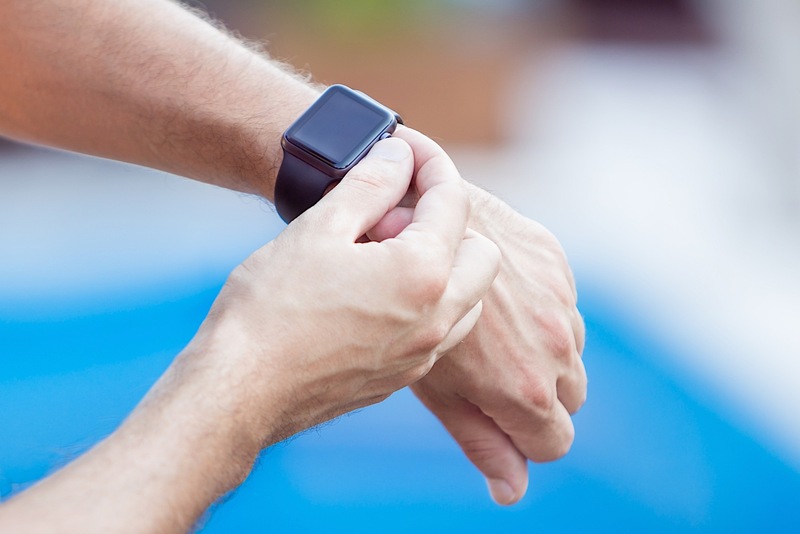 More and more shoppers are opting for “smart” devices in many aspects of their lives. Smart TV’s, smart phones, smart thermostats, smart locks; the list could go on and on. So what about smart pools? Well, 2018 made the dream of smart pools possible. A smart pool allows homeowners to control the maintenance and inner workings of their pools straight from their home or computer. Think about this: say you’re sitting in a movie at the theater and you’d love to dive into a hot pool immediately after the showing. But, oh no! You forgot to turn on the heater before you left. With a smart pool, that “oh no” becomes an “oh yes”, because from the recliner chair at the movies, it’s easy to turn that heater on with the simple push of a button. Smart pool technology options are currently somewhat limited. So keep on the lookout for more companies opting for automated pool care. Gone are the days where pools are required to go from shallow at the entrance to deep at the other side; 2018 is the year where pools are starting to take on various depths! These days, people are using there pools for more than just swimming or jumping off a diving board. Lap swimming, as well as water sports like basketball and volleyball require a pool to be relatively shallow throughout. Not only will guests of a shallow pool have the ability to participate in such sports, they also won’t have to worry about their smaller children wandering off into the deep end. Some pools are even shallow at both ends but slope a few feet in the middle. Ultimately, the homeowner must decide how he or she plans to use the pool most often before making a decision on depth. When it comes to making a home more appealing — weather it’s the interior, exterior, or in this case, the pool — a proper paint job is sure to freshen up a space. In 2018 particularly, more and more buyers are opting for pools that pop with colors and/or unique designs. When deciding what color to pick for your pool, think about the atmosphere you want to create. Cool colors like blue and green will evoke a more relaxing feel, while brighter colors like yellow and orange will be more dramatic. The right color can drastically change the vibe of your back yard, so don’t just into a project before being sure of your decision. If you really want to take it to the next level, consider hiring someone to paint a design at the bottom of your pool. Whether you opt for a geometric design or a realistic masterpiece is up to you; but no matter what – your neighbors will say “wow”. Note however, that you may want to avoid going overboard with the color if you are planning to sell your house in the near future. You might love the way a bright orange bottomed pool looks, but that certainly won’t be everyone’s taste. 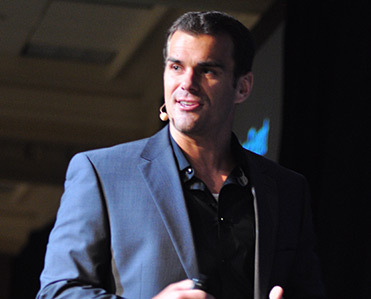 Keep your choices more subtle if you want to attract potential buyers. Tile is taking over in 2018, especially in the backyard design world. Just as a unique mosaic tile backsplash would make a kitchen pop, a unique tiled pool can make your backyard pop. Homeowners looking to adopt the tile trend can opt for a number of materials like glass, pebbles, stones, slate, ceramic, porcelain, and so much more. They can also choose to tile part of their deck, their pool’s trim, or even their entire pool! Popular tile styles include grecian-inspired blues and whites, stone and glass combos, as well as natural slate. The best part about adding a tile design to a pool is the reflection of the sun that is created due to the mixture of glass, water, and light. Nothing says luxurious like a glistening pool. 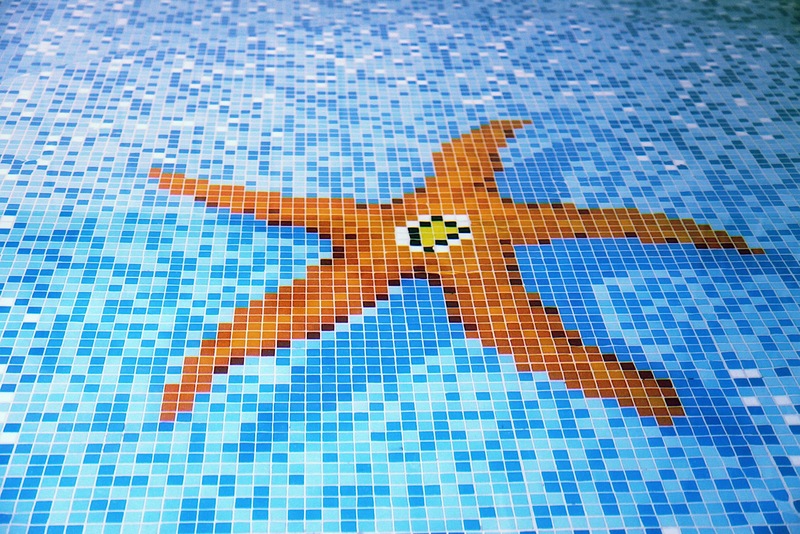 Fortunately, adding a tile design to a pool can be relatively affordable. Newer application processes make mosaic installation less labor intensive and therefore less expensive! Whether you opt for tiki torches, market lights, or well-placed LEDs, lighting is key when it comes to backyard landscape. 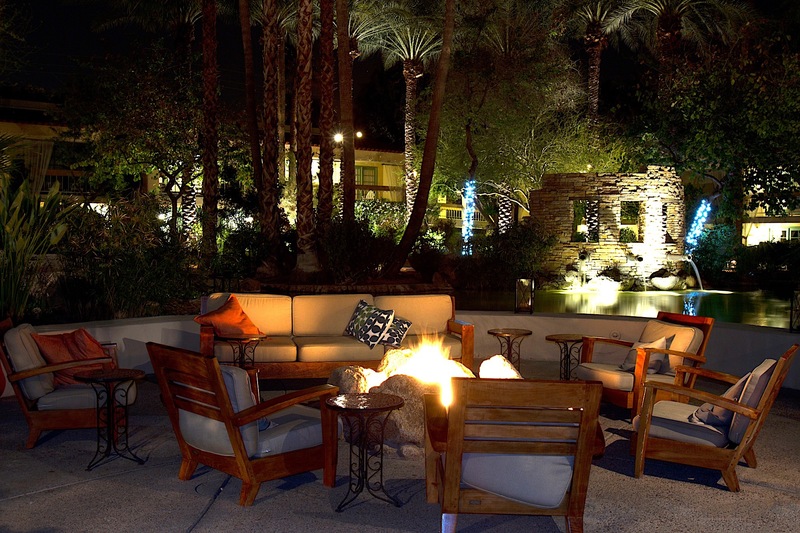 So why not take your pool to the next level by going all out with a fire pit or other fiery decor. From fire pits to fireplaces to fire sticks, the combination of fire is as functional as it is aesthetic. Throw epic backyard barbeques in the summer or curl up by the fire in wintertime. Either way, your backyard will be the envy of the neighborhood. 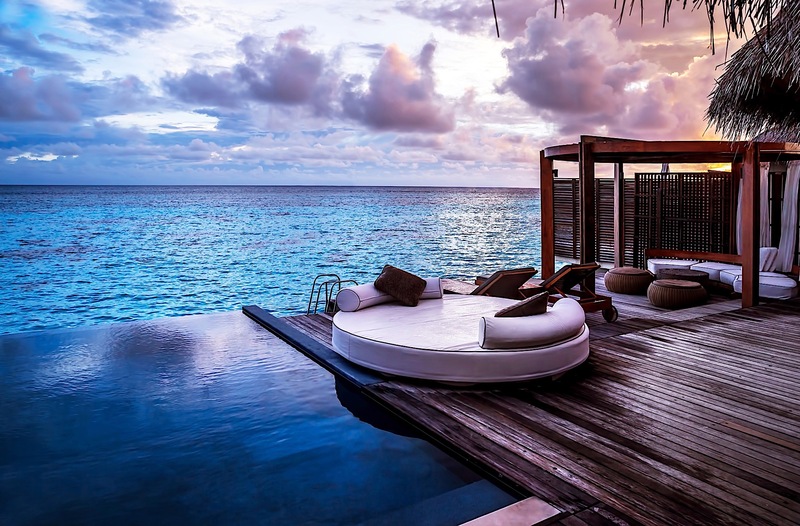 No more than a decade ago, infinity pools were all the rage in upscale neighborhoods and resorts. Clean lines and simple aesthetics, which have become synonymous with an equally impressive view, come together in a seamless effort to recreate the perfect atmosphere. However, it appears as if their time has come. The next evolution of the infinity pool has officially arrived: knife-edge pools. Otherwise known as “the new infinity pools,” knife-edge pools take the original concept and apply it to every side of the pool. Instead of water spilling over one edge, the knife-edge allows for water to spill over on all sides. The beauty, however, is in their simplicity. These pools force water over the edge, where it accumulates in a subsequent trough. When the overflow fills the subsequent slot, the collection of water creates a mirror-like effect. Depending on the pool’s construction, the water may appear to float on the surface of the deck or serve as an elegant barrier. Regardless, the resulting water collection creates a modern aesthetic that can’t be replicated by previous pool styles. Knife-edge pools have gained a lot of momentum in a short period of time. This style has already started to supplant standard pools, and looks to be the next evolution of swimming pools. For all intents and purposes, knife-edge pools are the hottest pool trend in 2015. Natural pools have been around for quite some time, but they have recently grown in popularity due to their environmentally friendly approach towards sustainability. True natural pools actually filter water through the plants and rocks that surround them, rendering chlorine all but irrelevant. Al Rizzo, of Connecticut-based Rizzo Pools, says nature-inspired pools surrounded by rocks and fed by cascading waterfalls have become popular in the northeastern states. “These pools not only give the feeling of swimming and relaxing in a forest pond, but the sound of running water is also very soothing,” he says. Swimming pools are about as unique as the individuals that buy them. Each can be tailor-made with specific dimensions, materials, features and many more attributes. There are seemingly endless features that award pool owners the ability to customize everything to their particular tastes. However, this season has already dictated the latest trends. Outside of the pool design itself, owners are finding it more appealing to surface the pool with something other than gunite or plaster. 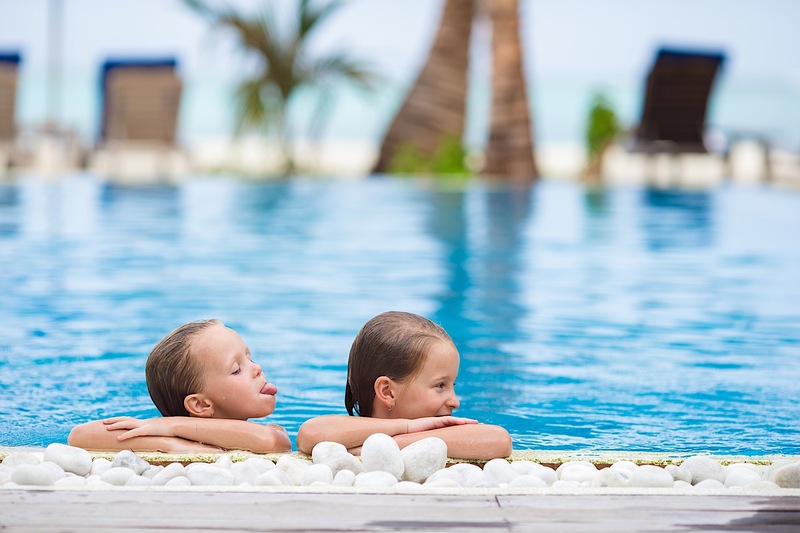 The most popular pool surfacing materials of 2015 include pebbles and glass tiles. Pebble Surfaces: Pebbles have become one of the most popular pool surfacing materials in 2015 for a number of reasons. Not only are they much easier on the feet of swimmers, but they are also more durable and come in a wider variety of colors. They are also the top surfacing choice for pools attempting to replicate a more natural atmosphere. Glass Surfaces: Glass tiles are quickly becoming one of the top pool trends for 2015. In fact, tile surfaces started gaining popularity last year because of their depth of color and smooth texture. Integrated Water Features: Nowadays, no pool is considered complete without the addition of a water feature. Of course, said features can come in all sorts of shapes and sizes, but waterfalls remain the most prominent. The inclusion of a waterfall has withstood the test of time, and looks to have cemented itself as the most popular water feature addition. The popularity of water features continues to grow with “pool waterfalls and water fountains showing up more and more in modern pool designs with adjustable water flow, pressure and height settings,” said a spokesman from Install It Direct. Waterfalls can take the form of fountain bubblers, water sconces, and even secluded grottos set behind a wall of water. Some waterfalls even include waterproof LED lights to make the features appear more vibrant. Overflow Spas: Spas are a rather ubiquitous addition to pools everywhere, no matter where you live. However, spas can be as unique as their larger, cooler counterparts. One of the most popular custom features to added to pools this year is the overflow spa. Not unlike the previously mentioned knife-edge pools, overflow spas pump water over the edges, where it may be recycled back into the pool or spa. Some of the more creative designs will witness the spa rise out of the pool itself, as to blend seamlessly into one coherent look. Both beach and lagoon pools, as their names suggest, have attributes that mimic their natural counterparts. In particular, these styles of pools boast sloped entryways reminiscent of walking into a lagoon or the ocean. In essence, sloped entryways are taking the place of traditional steps. The gradual slope is great for families and those who want to keep cool by the pool without being fully submerged. However, it is as much a safety feature as it is a trend. These pools can accommodate children and the elderly, or anyone else that may have trouble getting into and out of a traditional pool. Did we miss any of your favorite pool designs from 2018 or years passed? Let us know in the comments below!